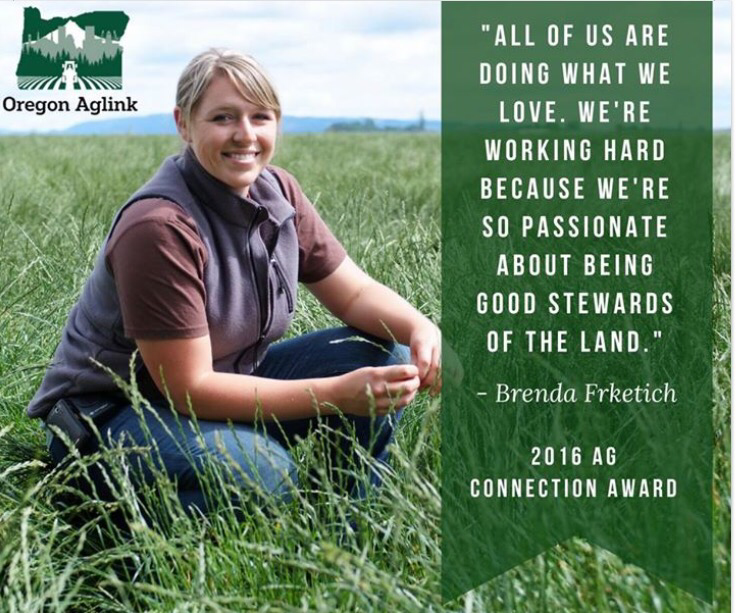 Tonight I have the great honor of being presented the Oregon AgLink Ag Connection Award for 2016! I will be presented the award at a fundraiser dinner auction called Demin & Diamonds. Oregon AgLink is an organization that supports amazing programs including Adopt a Farmer, Farmer Safety Programs, and crop ID signs that you see all over the state. I can’t even begin to tell you how much this award means to me. If you look at the list of past recipients of this award and the Agrigulturalist of the Year award, names show up on the list like Dale Buck, Paulette Pyle, Marie Bowers Stagg, Doug Hoffman, Barb Iverson, Barry Bushue…I could go on and on! These people have created a fabric of hard work and determination that has set the stage for all of us farmers to start to bridge the gap between rural and urban folks. And they did it not because they had to, but because they showed up to answer a call to stand up for agriculture. It’s one of the reasons this event is so exciting, it brings together people who want to work hard not just on their own farm and ranch, but dedicate their time to fighting for our industry. So humbly I thank you all for allowing me to be a voice of agriculture on this blog. Thank you for the support and patience! I hope to see many of you this evening to support these amazing efforts by so many!! ← Which Farmer should you Believe? Amazing!! Well deserved! Congrats Bren! Nice work Brenda, well done! Super !!! 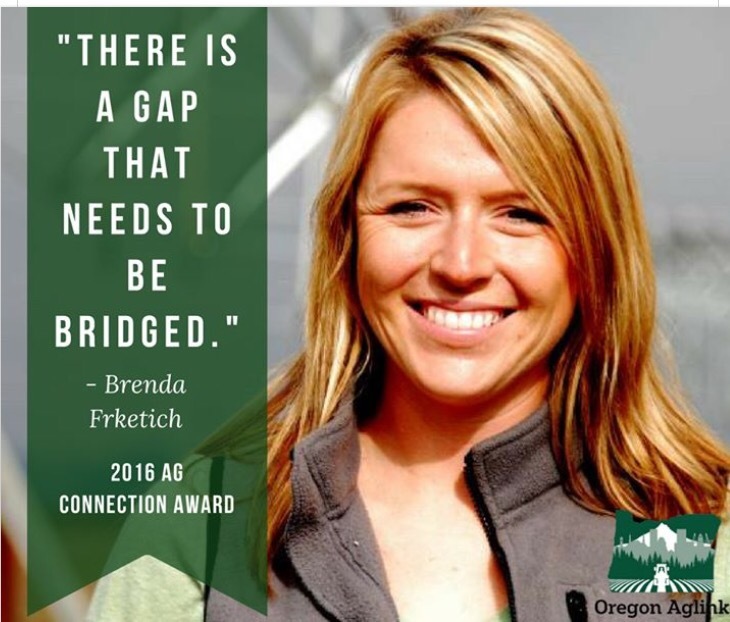 Famers are artists of the soil & the growers of nourishment, congrats Brenda, big hugs !!!! Proud of you! Keep doing what you’re doing- we all benefit.